Dimensions: 30 1/4"W x 16 5/8"D. 5 Lbs. 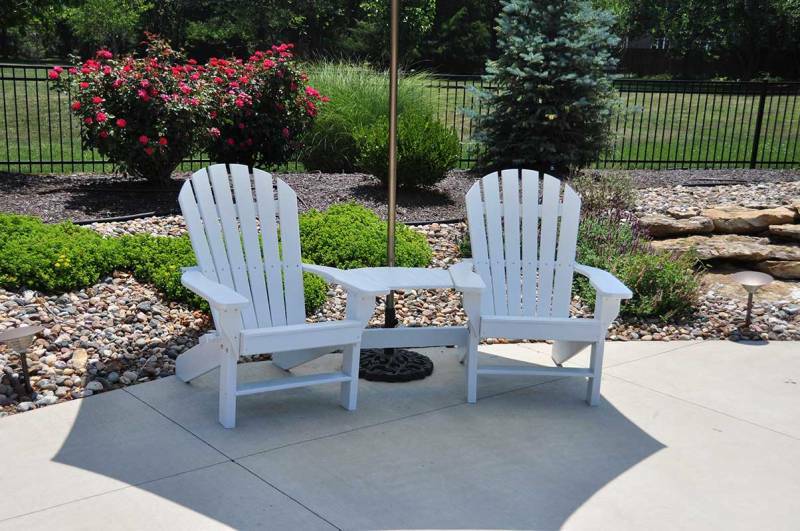 The perfect way to join two adirondacks chairs with a convenient table to share. 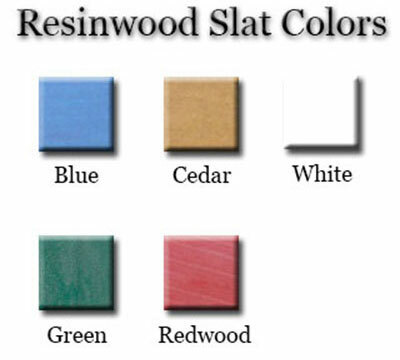 Tete-a-tete table is made from 100% recycled resinwood slats. 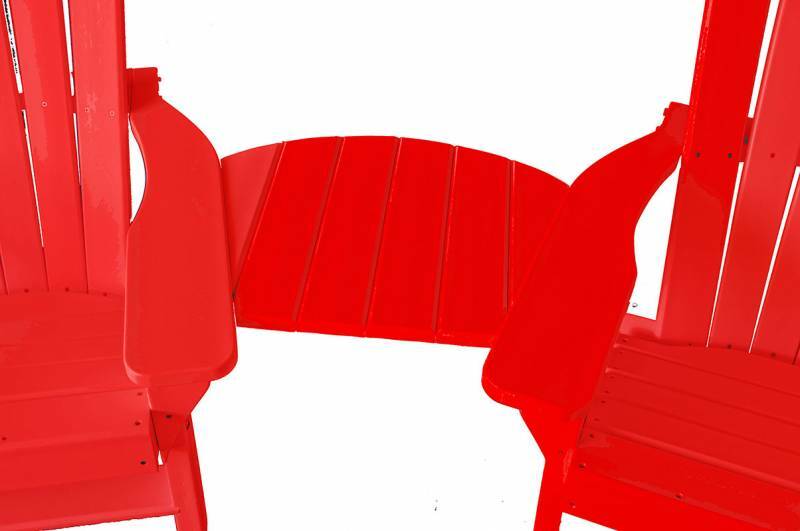 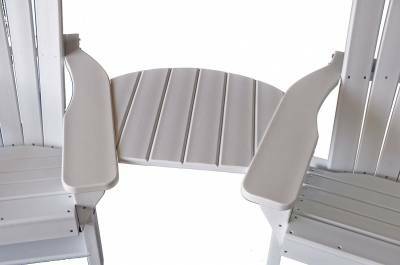 Our Jayhawk Plastics Tete-a-Tete connecting table is the perfect way to join two Adirondack Chairs with a convenient table to share. 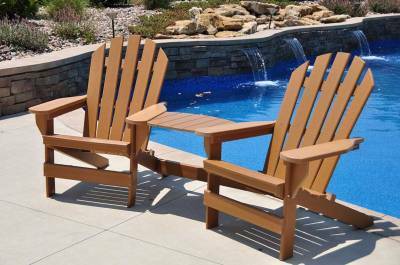 The entire Tete-a-Tete is made from 100% recycled plastic resin wood slats making the Tete-a-Tete maintenance free. 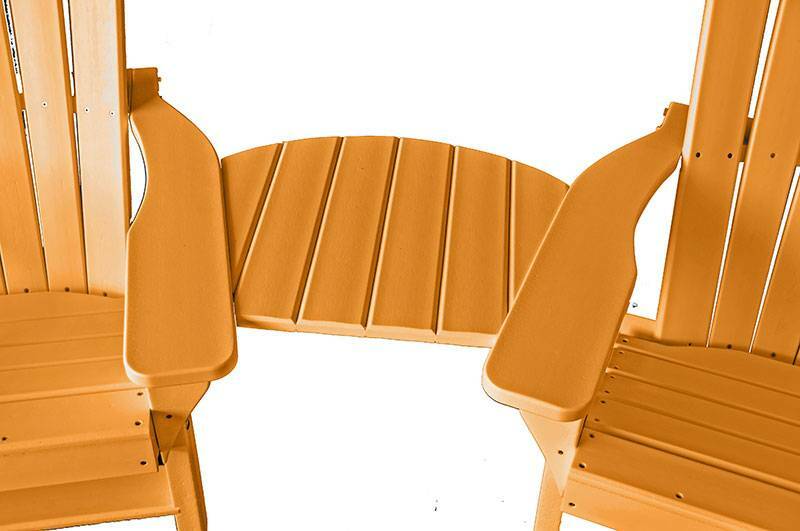 The entire product is UV stabilized to protect against fading. The hardware used is Marine grade stainless steel, an industry first!